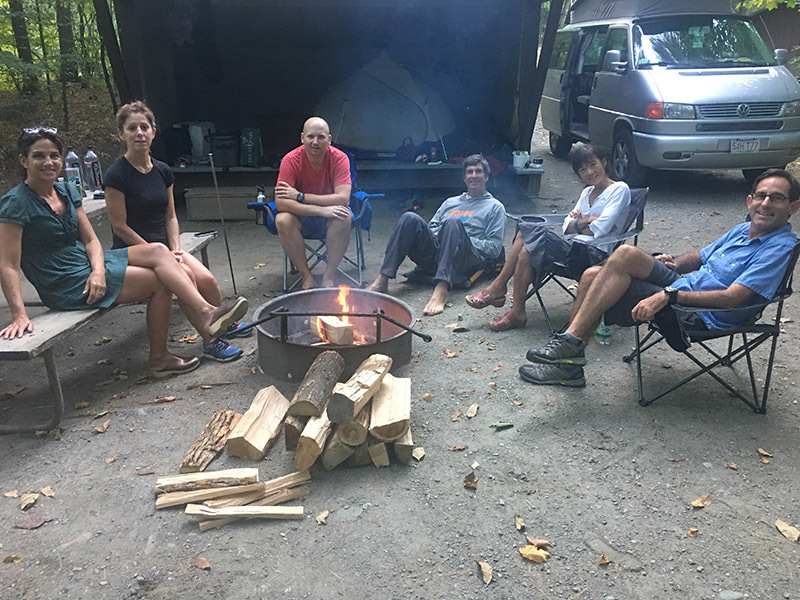 A group of seven Vineyard runners trekked up to Mount Ascutney in West Windsor, Vt., for the annual Vermont 50 Ultra Run on Sunday. The day held sweltering heat and a 50-kilometer course with nearly 5,000 feet of ascent and descent. Marylee Schroeder placed first in her age division, and 41st overall, with a time of 6:16:04. David Diriwachter placed eighth in his division, 37th overall, with a time of 6:03:18. Whitney Hanschka placed ninth in his division, 69th overall, with a time of 6:42:47. Erin Tiernan placed 12th in her division, 94th overall, and finished in 7:06:38. Chantal Desgagne finished 16th, in her division, 105th overall, finishing in 7:19:36. Anthony Holand placed 21st in his division, 113th overall, and finished in 7:35:29. Pam Morrow raced but did not finish. The course started at the base of Mount Ascutney, offering spectacular views to the racers, and cut through several towns in Vermont.